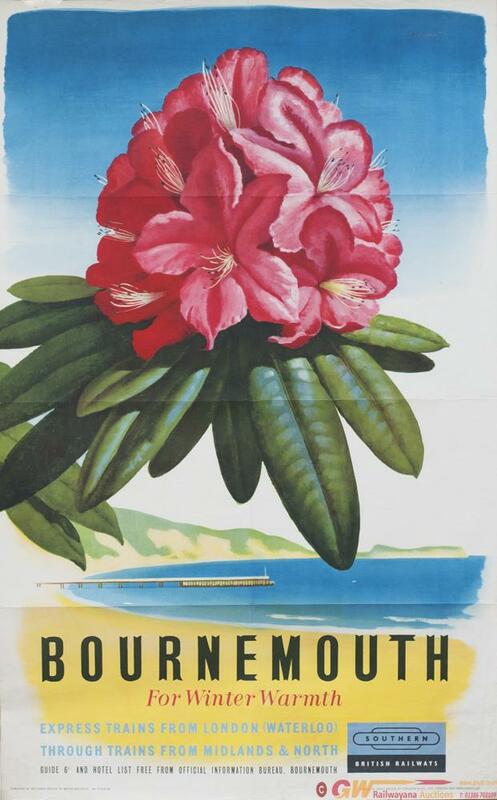 Poster BR BOURNEMOUTH FOR WINTER WARMTH. Double Royal 25in x 40in, published by The Southern Region in 1958. In good condition, has been folded.